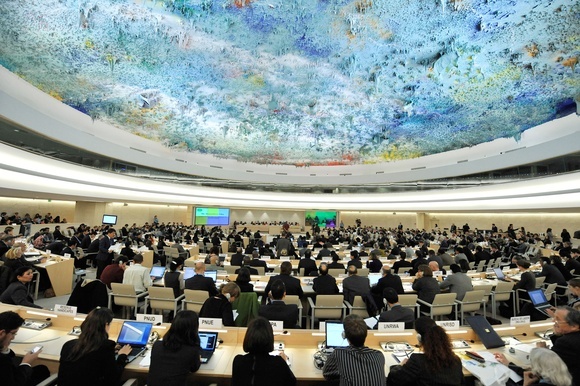 A Tyrannical Victory at the Human Rights Council? It is a good day for intolerant rulers like Hugo Chavez and Nursultan Nazarbayev, as seven countries with particularly appalling human rights records were elected to the UN Human Rights Council: Ethiopia, Gabon, Côte d’Ivoire, Kazakhstan, Pakistan, the United Arab Emirates, and Venezuela. The Human Rights Council was founded in 2006 in response to the censure that the UN Human Rights Commission was facing for including major human rights violators in its ranks. For decades, the Commission was actively destructive to the interests of human rights by providing diplomatic cover to the worst tyrants. The success of human rights-abusing governments in using seats on the Commission to deflect pressure for reform became one of the most cynical games in international politics. At the time, UN Secretary-General Kofi Annan admitted that the Commission's “declining credibility” had “cast a shadow on the reputation of the United Nations system. Unless we re-make our human rights machinery, we may be unable to renew public confidence in the United Nations itself.” His advice, that the Commission be “scrapped and replaced,” was heeded. The new council was to be different; it would only elect countries that “uphold the highest standards in the promotion and protection of human rights.” It was to right the wrongs of the defunct Commission. Unfortunately, today's elections seem to indicate total failure. The Council is the same old wine in a new bottle. Take three of the countries that were elected to the council with questionable human rights records: Venezuela, Kazakhstan and Pakistan. The Venezuelan government has continually engaged in human rights violations. Arrests, incarceration, and criminal prosecution of individuals who express opinions opposing the state are rampant. Press freedom is under assault, and the regime holds a communications hegemony. Legislation by the state has criminalized legitimate criticism of public officials, disregarding the principles of accountability, transparency and honest government. What's more, the Venezuelan government has consistently ignored various international recommendations from UN member states. For instance, recommendations from Norway, Switzerland, the UK and Czech Republic to improve Venezuela's hellish prison conditions have been denied. Venezuela has failed to uphold international obligations on freedom of speech, and has yet to respect a single decision of the UN Working Group on Arbitrary Detention, which has determined in numerous cases that Venezuela's political prisoners should be freed. Equally problematic is Venezuelan president Hugo Chavez's repeated endorsements of some of the world's top human rights violators: Vladimir Putin of Russia, Fidel Castro of Cuba, Alexander Lukashenko of Belarus, Bashar al-Assad of Syria, Muammar al-Qaddafi of Libya, Saddam Hussein of Iraq, Mahmoud Ahmadinejad of Iran, and Robert Mugabe of Zimbabwe. The Venezuelan strongman has described these men as his “brothers.” It is doubtful that Venezuela can objectively address the human rights violations of leaders considered allies, and friends and from whom Chavez purchases billions of dollars in arms or shares totalitarian best practices. Things will only become worse with Venezuela, a country with neither rule of law nor freedom of speech, and with a track record of ignoring the international decisions of the Council. Kazakhstan is another country with a litany of human rights abuses on its government's record. The regime controls public assembly, and the denial of permits for any politically motivated public meeting is common. Authorities will often use lethal force to break up peaceful strikes and protests. The Zhanaozen massacre that occurred in December was a bloodbath that is yet to be properly investigated. Kazakh media are subject to censorship and legal restrictions, and those with dissenting opinions have been met with harassment, libel and defamation charges, and physical attacks. If this isn't enough to prove the government's media chokehold, consider that the main media broadcast company is owned by state agents and associates of the president's family. According to the Economist Intelligence Unit, President Nazarbayev's authoritarian rule is likely to continue; national elections are laughably fraudulent with the president-for-life winning more than 95 percent of the vote. Nazarbayev has stated that a one-party parliament was a “wonderful opportunity to adopt all the laws needed to speed up our country's economic and political modernization.” The election of Kazakhstan to the Council will provide the country with the means to silence not just domestic, but also international criticism of Kazakh human rights violations. Pakistan similarly fails to meet the minimal standards of a free democracy. Criticism of the government in the press is limited by the state, Internet censorship has increased, and the government restricts the registration of NGOs. Reporters Without Borders has declared Pakistan “the world's deadliest country for journalists for the second year running,” ranking the country 151st out of 179 countries in its 2011-2012 Press Freedom Index. Insulting Islam, the prophet Mohammed, or the Koran is punishable by death, and many, like Asia Bibi, a Christian mother of five, remain on death row for the crime of blasphemy. Some Pakistanis believe their government is complicit in the culture of intolerance and violence that allowed 14-year-old Malala Yousafzai to be shot in the head by the Taliban for advocating education for herself and other girls. Pakistan's UN voting record is also worth examining. Pakistan has abstained from voting on the resolution for victims in North Korea, Myanmar and Syria and outright opposed the resolution for victims in Iran. What else can we expect from Pakistan being on the Council? The Council, which was supposed to be an improved replacement of the defunct Commission, is plagued by the same faults as its autocratic member governments. I learned this first hand when I testified in Geneva earlier this year and was shut down by the servants of the Chinese, Cuban, and Russian dictatorships. The US, which just won re-election to the Council, is not free of criticism on the grounds of human rights violations. However, its government protects the right to freedom of speech and assembly, separation of powers exists, and a free press holds the government in check. Most importantly, it has a demonstrable track record inside the Council of addressing its own human rights violations while being an honest ally of witnesses who come to testify. The Council pledged to subject member countries to an entirely new and universal periodic peer review “based on objective and reliable information” of their human rights records during their terms. Yet, tyrannies like China, Cuba, Russia, and Saudi Arabia continue to enjoy member status. And other candidates not remotely qualified for membership are winning new seats, despite our best opposition. The Council must not continue to act as a criticism shield for governments that fail to uphold the very standards it espouses. The Human Rights Council has become perhaps the most effective tool for dictators to divert attention away from their own abuses. We must ask, with some of the world's most egregious rights violators newly elected, exactly how much credibility does the Council have left? Côte d’Ivoire, ethiopia, Freedom of Speech, Gabon, Hugo Chavez, Human Rights Abuse, Human Rights Council, Kazakhstan, Nursultan Nazarbayev, Pakistan, UN Secretary-General Kofi Annan, United Arab Emirates, Venezuela.